So last weekend I was invited to Burt's Bees Smacking Summer Lip Shades Workshop at TGC workshop area, The Gardens Mall. 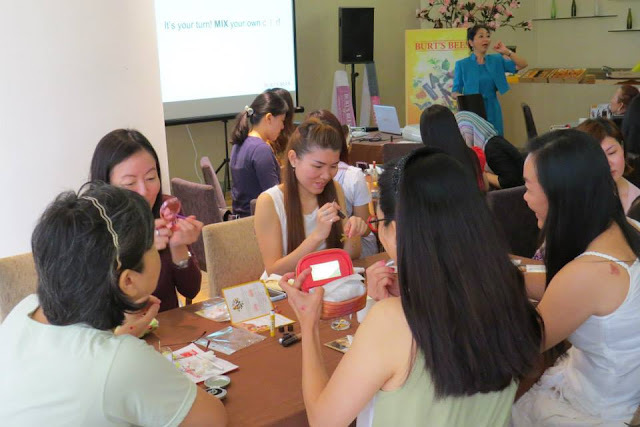 Through this workshop, you can learn how to build various in-trend lips effect using natural lip colour and discover the perfect shades that complement you best. 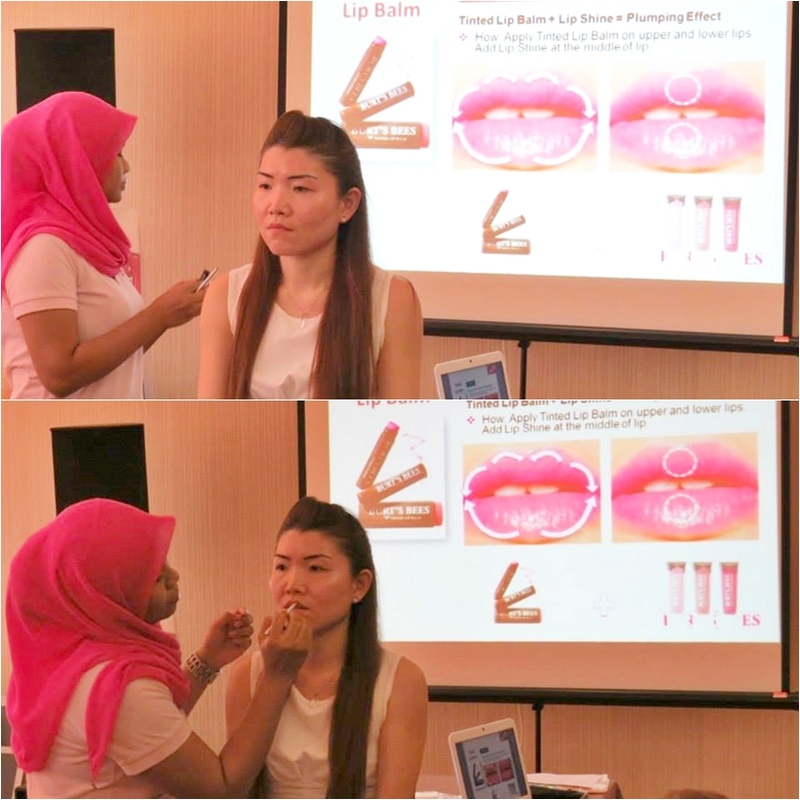 Upon registration, lip brush was given to let us practice and try on different lip colour later during the workshop. 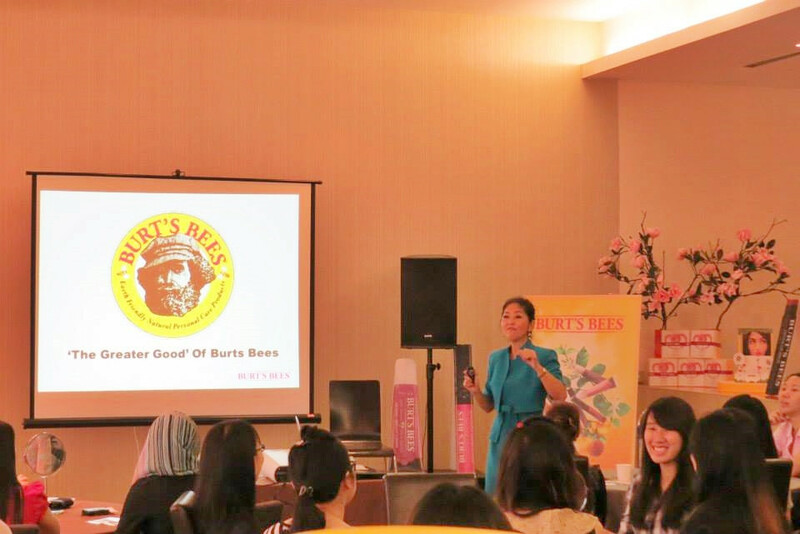 A brief introduction about Burt's Bees. 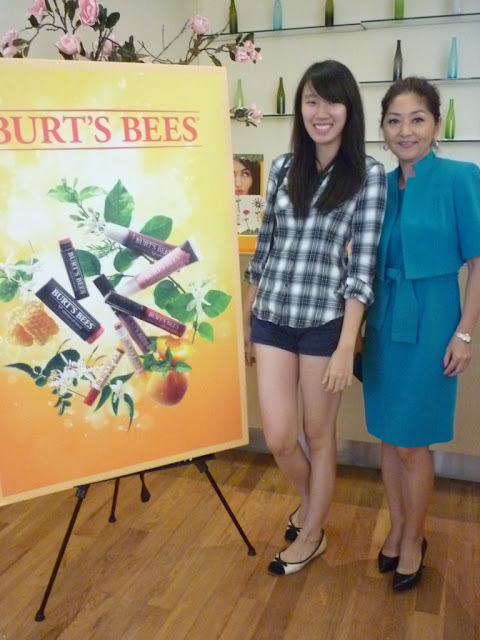 Burt's Bees is an "Earth friendly, Natural Personal Care Company" originated from North Carolina, US. They use all natural ingredients, engage in environmentally friendly business practices and extend its humanitarian efforts to the community at large as they operate under a business model referred to as "The Greater Good". Besides, every product has a "natural bar" label which helps you to identify the high level of natural ingredients used in that product. 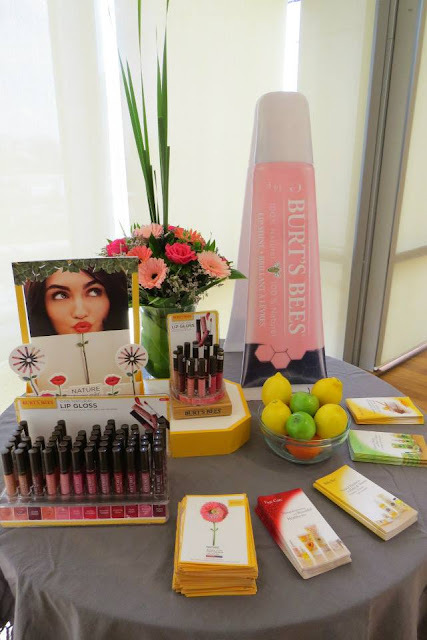 The Burt’s Bees lip colour collection: (from left) lip gloss, lip shine, tinted lip balm and lip shimmer. 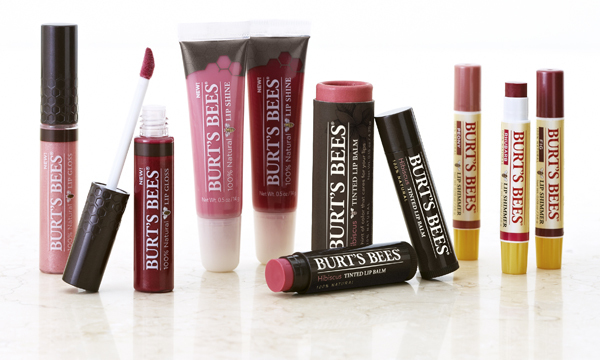 Among them, tinted lip balm is the bestseller in Burt’s Bees! The lip shine collection. Remember that lip shine is always used for layering only. 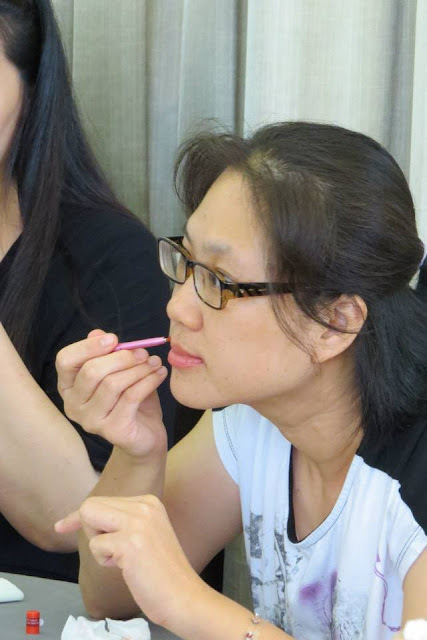 For example, you can apply tinted lip balm or lip shimmer first, then only dab some lip shine in the middle of your lips to create pouty effects. Makeup/dressing tips: Remember to put on makeup (red/plums lips recommended) when you’re wearing black colour shirt or put on some accessories to hype up your look. 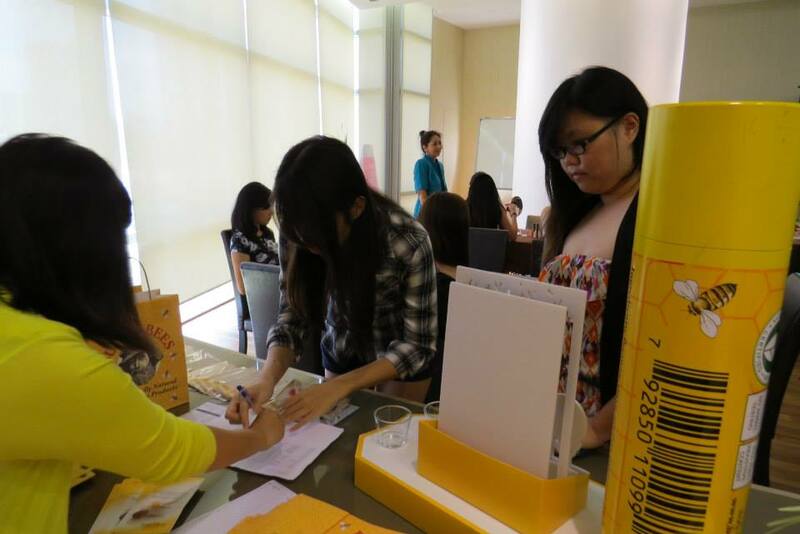 Availability: The Gardens Mall, The Curve, Sunway Pyramid, Suria KLCC, Subang Parade, Plaza Gurney in Penang. Eh so nice leh the workshop. Must be fun trying different shade of gloss. Teehee! 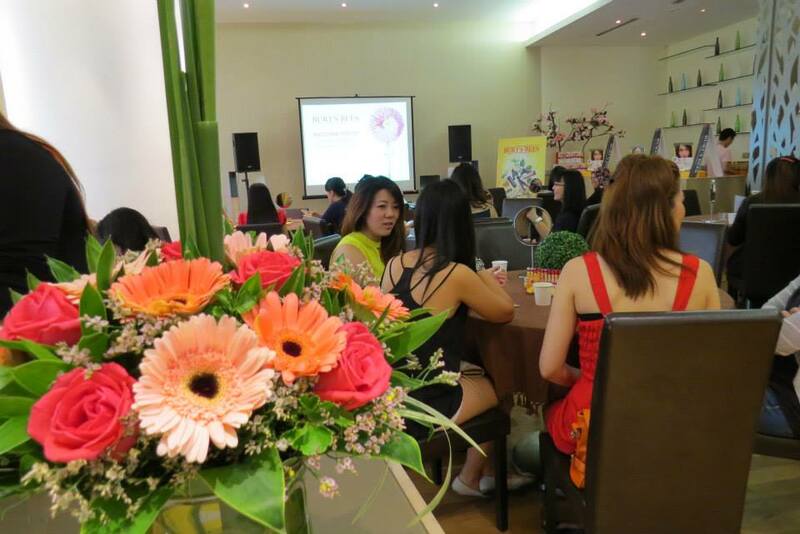 Soon we will meet, see you at spa party! !